These horses stand in their black and white on a warm breezy summer evening. The stallion gives a wary look as the mares are watchful. The foals look on with their little pink muzzles, one as curious as the other is shy. 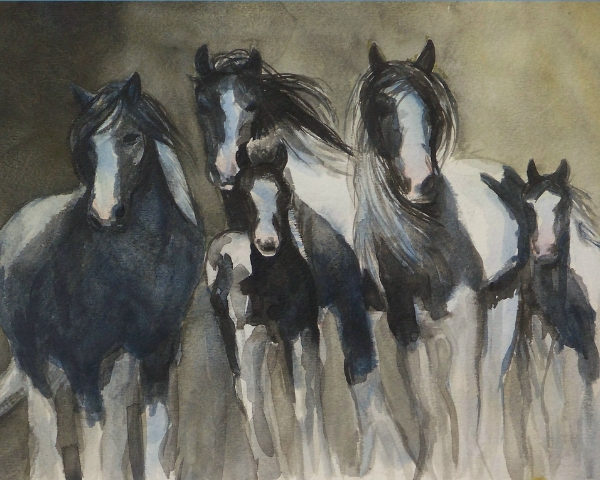 Blues Blazes is a sensitive earthy rendition of black and white paint horses.